Ron Prohibido is a 12 years premium solera rum. It has a sweet and sour palate, which has been achieved by mixing different aged rums. These rums is aged in old wine barrels. El Ron Prohibido is a Mexican rum. It is matured in barrels, which used to hold sweet raisin wine. Therefore, Pohibido is a sweet rum with bitter notes. On the palate, it is sweet with great intensity of raisins, grape, plums, cherry, honey and dark chocolate. You will also feel a light vanilla, oak, walnut and coffee and a gentle hint of candy. On the nose, it is fruity and sweet walnut with waves of brown sugar and vanilla. The finish is strong coffee notes, which remains. It comes in an interesting and aesthetic glass bottle, which reveals the dark brown caramel colour of this rum. 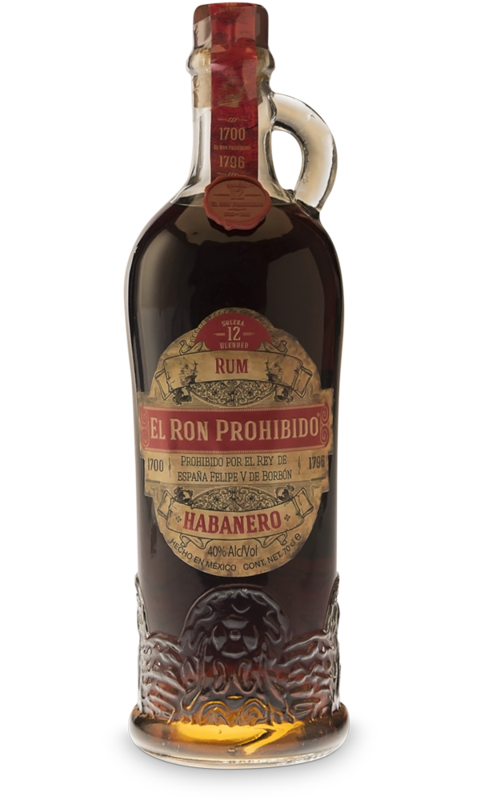 El Ron Prohibido is a rum with a great heritage. This rum has been forbidden for years but never forgotten. Enjoy it neat to get the most out of this distinctly rich rum. Fraternity Spirits was founded in 1994. Today they create, represent, and market a portfolio of premium drinks. Currently they have products in over 77 countries worldwide. At Fraternity Spirits, they have professional and dedicated employees, which allow them to provide services and beverages of the highest standards of quality and design. The added value of brands, their enthusiasm, and the passion they have in their work are reflected in their magnificent products where El Ron Prohibido, the forbidden rum, is one of them.